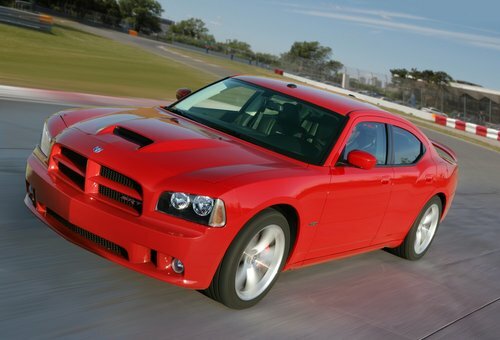 Geneva, Mar 2, 2010 - The Dodge Car Brand continues to offer customers around the world driving excitement, functionality and aggressive styling. "The focus of the Dodge Car Brand is creating an all-new spirit and life built around strong American heritage in products that provide performance and personality," said Ralph Gilles, President and CEO -- Dodge Car Brand and Senior Vice President -- Product Design, Chrysler Group LLC. "The Dodge Charger SRT8 and Challenger SRT8 command attention by offering benchmark, all-around performance that appeals to unique customers who celebrate their achievements by living life to the fullest." 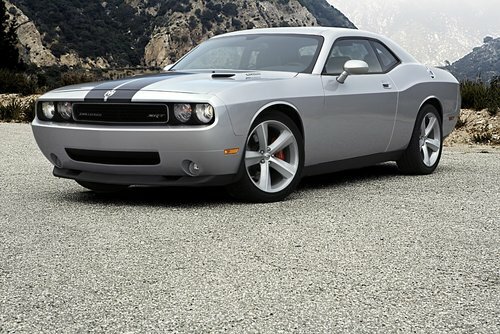 At the 80th Geneva International Motor Show, the Dodge Car Brand showcases two iconic models -- Dodge Charger SRT8 and Dodge Challenger SRT8 -- both of which deliver the best of modern American muscle-car characteristics: unmistakable design, world-class handling, powerful engines and proven technology. In 2009, the Dodge brand comprised nearly 35 percent of Chrysler Group LLC sales in markets outside North America, led by Dodge Journey as the highest sales volume vehicle and Dodge Caliber also as a top-five sales contender. As the Chrysler Group product portfolio develops in markets outside North America, Dodge will become a specialty brand with a focus on regional sales for specific models. Chrysler Group LLC sells and services vehicles in more than 120 countries around the world. 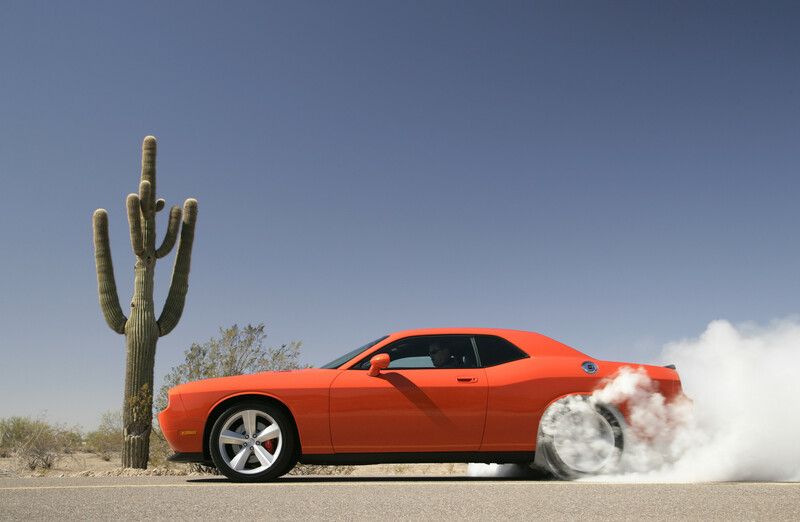 Two high-performance, North American Dodge products from the Street and Racing Technology (SRT) group of Chrysler Group LLC are making their way to the 80th Geneva International Motor Show. 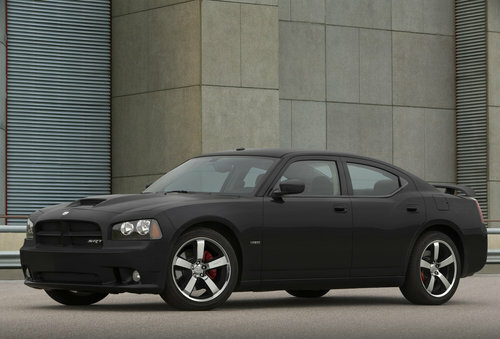 Developed under the credo "Race inspired, street legal," the 2010 Dodge Charger SRT8 and 2010 Dodge Challenger SRT8 are powered by the 6.1-liter HEMI V-8 engine that produces 317 kW (425 bhp) and 569 N-m (420 lb.-ft.) of torque -- the highest naturally aspirated, specific-output V-8 engine ever offered by Chrysler Group LLC. 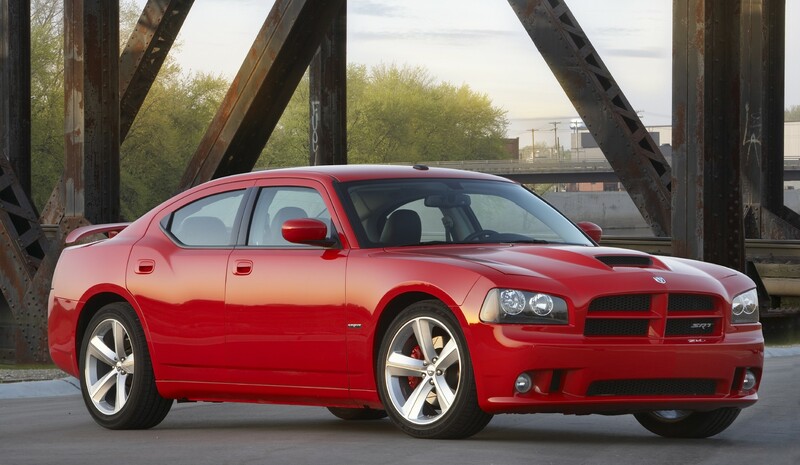 The Dodge Charger SRT8 packs all of the features and amenities expected of a family sedan and combines it with benchmark performance. Dodge Charger SRT8 thrills with acceleration from 0-100 km/h in the low 5-second range, world-class ride and handling, benchmark braking that produces 100-km/h stops in approximately 33 m, and 0.89 g on the skid pad. In addition, the Charger SRT8 accomplishes the SRT vehicle's signature performance test of 0-160-0 km/h in less than 17 seconds. SRT-inspired interior appointments are reflected on the latest Dodge Charger. The vehicle features Dark Slate Gray seats accented with Agate-color stitching. The SRT logo is embroidered on the driver- and passenger-seat inserts. The door handles and steering wheel feature a carbon-fiber-like leather trim. LED lighting in the front cup holders and front- and rear-door map pockets complement the interior compartment. Befitting its high-performance character, the Dodge Charger SRT8 continues to provide power-adjustable, deeply sculpted and highly bolstered front sport seats, fitted with performance suede inserts, and designed to hold occupants firmly while maneuvering. Rear seats have matching performance suede inserts. Full instrumentation includes a 300 km/h speedometer, tachometer and a coolant temperature gauge. An LED display within the gauge cluster is driver configurable for oil-temperature, oil-pressure and tire-pressure readouts. The available SRT-exclusive Electronic Vehicle Information Center (EVIC) with Performance Pages provides drivers with instant feedback on 0-100 km/h time, 100-0 km/h braking and G-force readout. 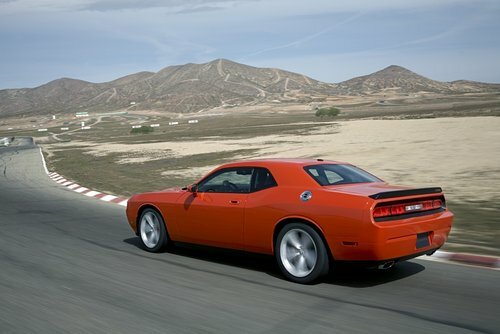 The Dodge Challenger made a triumphant return in 2008 after a 35-year absence of the iconic muscle car. 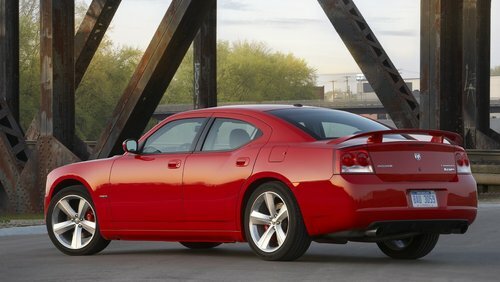 The ultimate modern American muscle coupe is packed with modern amenities and features all enthusiasts will love. Exterior styling cues are unmistakably Dodge, with proportions that evoke a bold, instantly recognizable vehicle that has a wide, stable stance on the road. A full-width grille and fog lamps, reminiscent of the original Challenger, are married to the modern "Dodge performance attitude". 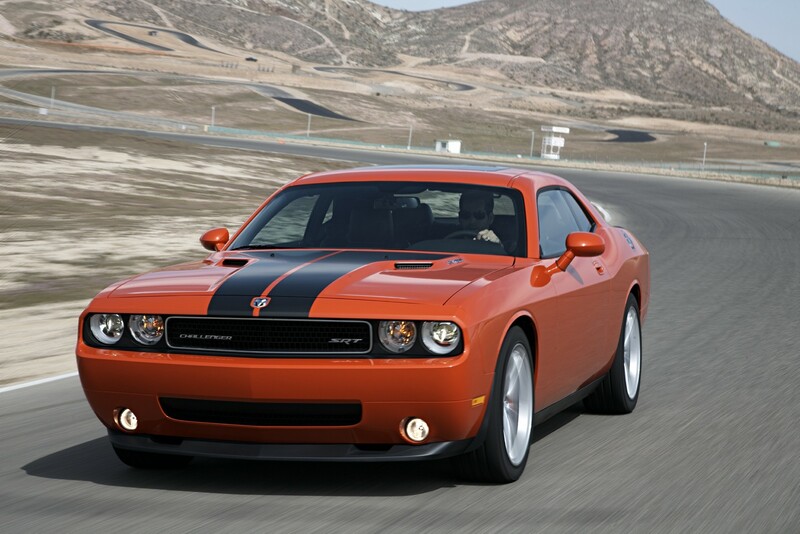 The result is an aggressive face that is unmistakably a muscle car. 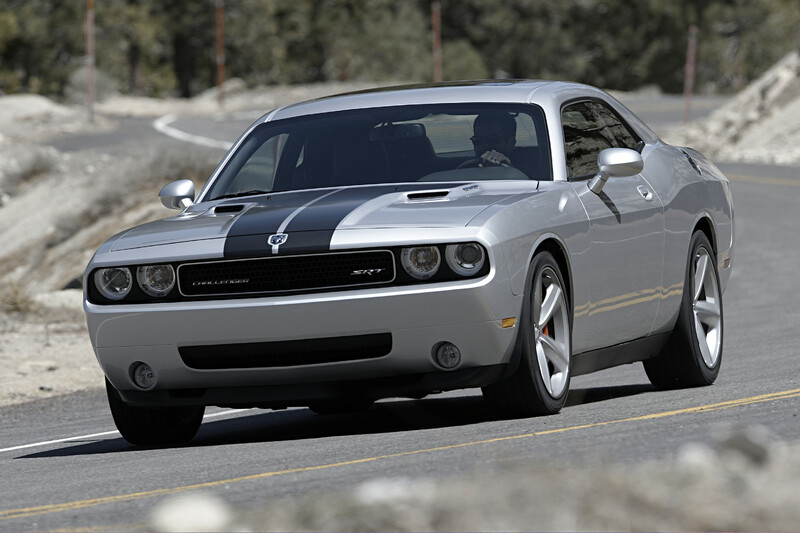 The hood, with a raised center, black stripes and functional dual scoops, stays true to the Dodge Challenger heritage, as does the A-line and beltline. The latest Dodge Challenger SRT8 is available with either a standard five-speed automatic with Auto Stick or an available Tremec TR-6060 six-speed manual transmission that was first offered on the 2008 Dodge Viper SRT10. 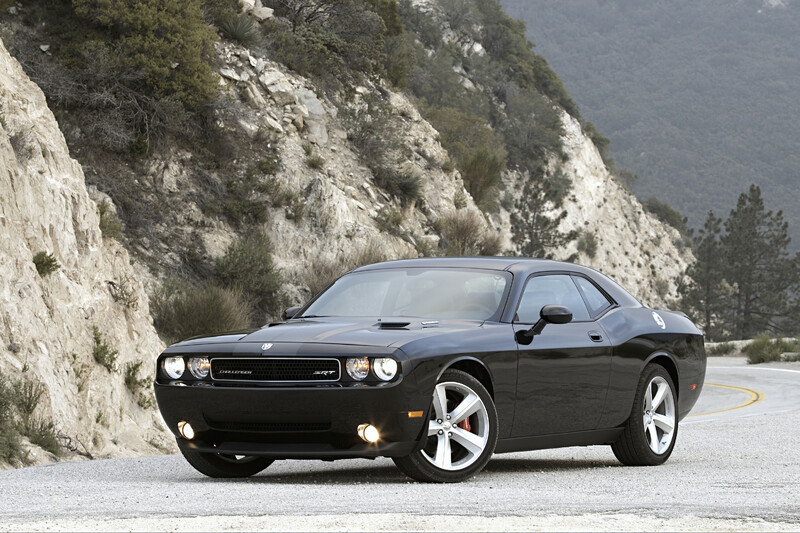 A classic pistol-grip shifter featured on the manual transmission is reminiscent of the original Challenger. On the road, the Dodge Challenger SRT8's impressive performance comes to life with acceleration from 0-100 km/h in the low 5-second range, 0-160-0 km/h in under 17 seconds and braking from 100-0 km/h in approximately 33 m.
Interior highlights include race-inspired leather seats with added bolstering, exclusive red accent stripe, and stitched accents on the seats and steering wheel. Instrumentation includes a four-bomb gauge with tachometer and 300 km/h speedometer in the center, as well as the SRT-exclusive EVIC with Performance Pages that provides drivers with instant feedback on 0-100 km/h time, 100-0 km/h braking time and G-force readout. Chrysler Group LLC's SRT team develops low-volume, high-performance vehicles within the Chrysler, Dodge and Jeep lineups. All SRT vehicles share five basic traits, including functional exterior styling that resonates with the brand, race-inspired interiors, world-class ride and handling characteristics, benchmark braking and standout high-performance powertrains that appeal to different types of customers. The 2010 SRT vehicle lineup includes the Dodge Challenger SRT8, Dodge Charger SRT8, Dodge Viper SRT10, Chrysler 300C SRT8 and Jeep Grand Cherokee SRT8. Dodge introduced two new vehicles for the 2009 model year: the all-new 2009 Dodge Journey, the brand.s first crossover vehicle and the 2009 Dodge Challenger, a modern-day American muscle car. Dodge also celebrated the 25th anniversary of the minivan during the 2009 model year. With more than 65 minivan-firsts introduced since 1983 and more than 12 million Dodge and Chrysler minivans sold, Chrysler Group LLC has solidified its leadership in the segment. J.D. Power and Associates further acknowledged this leadership by naming the Dodge Grand Caravan the Most Dependable Van for 2009. The 2010 Dodge Grand Caravan continues to set the mark in the minivan segment with unsurpassed fuel economy of 17 city / 25 highway mpg and minivan-first innovations including the segment's only Stow 'n Go and Swivel 'n Go seating and storage systems. The 2010 Dodge Journey and 2010 Dodge Avenger (with ESC) also earned the 2009 Top Safety Pick rating from the IIHS.